For more than 17 years, I have been working with successful individuals and families, providing thorough, unbiased and carefully considered guidance on a wide range of financial topics. My emphasis on education and commitment to outstanding service enables me to take the mystery out of the markets and bring a disciplined, comprehensive approach to financial planning and smart money management. My mission is simple: To deliver objective, high quality advice to help you organize and better manage your financial life, so you may enjoy and preserve the wealth you are working so hard to create. I strive to accomplish this through the development of long-term relationships, and by continually aligning your goals and values with your personal wealth management plan. 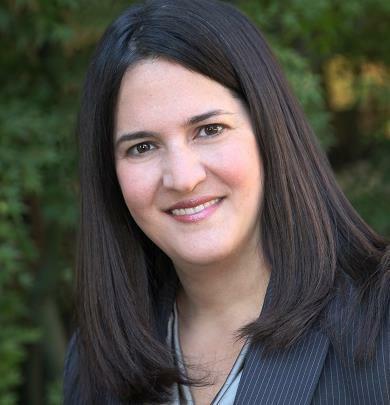 As a financial professional in the industry with 15 years of experience, Kathy provides customized solutions and wealth management services to financially successful individuals and families, corporate executives and stock plan participants living in the Bay area and across the country. Her goal is to work closely with each client to tailor strategies that help optimize their equity compensation benefits through goal-based investment and tax-efficient management. After earning her Bachelor of Commerce degree in Accounting and Finance from McGill University in Montreal, Kathy worked as a tax accountant in both the public and private sectors. It is here where she discovered her true calling for wanting to advise clients beyond their tax and accounting needs. This led her to join Morgan Stanley in 2000, where she could focus solely on financial planning and portfolio management. Throughout her career, Kathy has been committed to continuing education, so she may remain on the forefront of the latest and most effective wealth management strategies. She obtained her Chartered Professional Account of Canada (CPA, CGA – non-practicing at Morgan Stanley) and Certified Public Accountant (CPA – non-practicing at Morgan Stanley) designations before becoming a Financial Advisor. She earned her CERTIFIED FINANCIAL PLANNER™ (CFP®) certification in 2004 and achieved the Financial Planning Specialist designation from Morgan Stanley. She currently holds her FINRA Series 7, 63 and 65 licenses and her life insurance license. Kathy takes pride in her ability to put advanced concepts into action. Her ultimate goal is to guide her clients on the growth and preservation of their assets, while providing for current cash flow needs. Her approach is focused on articulating each client’s goals and aspirations. This information then serves as the foundation for the development of a custom strategy that can be adapted to respond to life changes and market activity. Having lived in many different places, Kathy calls San Carlos her home, where she lives with her husband, Emad, and their two sons, Armin and Ario. When she’s not working with clients, you can find her volunteering at her Sacred Heart School community or watching her boys play various sports. In her free time, she enjoys walking, watching movies and travelling. My clients are much more than a portfolio of assets – they are people with complex lives, who seek an advisor who will be dedicated to helping them address their specific financial challenges. When you work with me, you will be treated with respect, care, confidentiality and an unwavering commitment to you and your family. This is reflected in the core values that serve as the foundation of my practice. While each client has a unique personal and professional situation, they all have one thing in common: They are focused on achieving very specific financial goals, so they can focus on the areas of their lives that bring them joy, meaning and purpose.